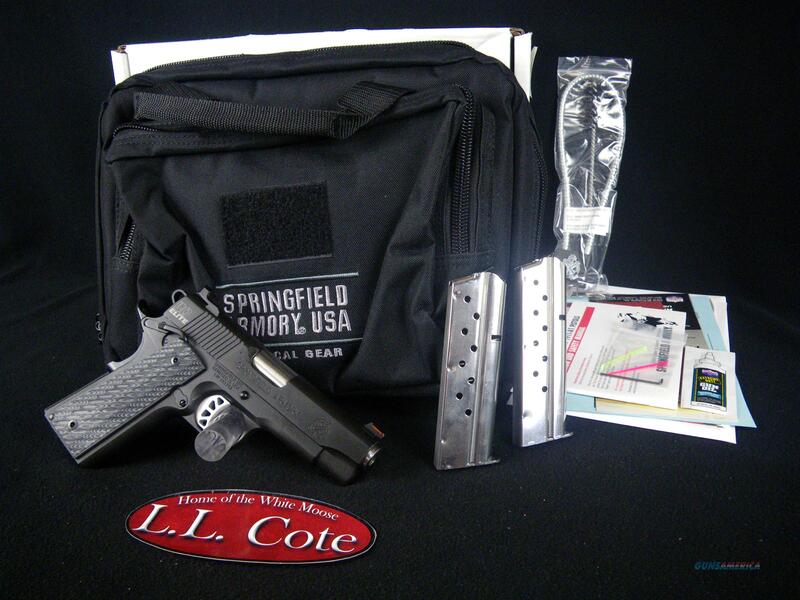 Description: You are bidding on a Springfield 1911 Range Officer Elite Champion in 9mm with a 4" barrel. The RO® Elite Champion™ trims size, not performance, with a 4-inch stainless steel match grade bull-barrel and fully supported ramp. The full-sized frame is forged lightweight aluminum alloy, with a slide of forged steel. Both are finished with the same Black-T® surface treatment that shields the coveted Custom Shop Professional Model against corrosion and extreme conditions. Tactical rack white-dot rear sight with fiber optic front sight, Gen 2 trigger, ambidextrous safety, flat wire captive recoil system, and custom thin-line G-10 grips create a pistol you’re proud to own and love to shoot. Displayed images are stock photos. Any questions please feel free to ask (our phone number is in the additional information tab above).